Are you debating which flowers to get for Mom for Mother’s Day? 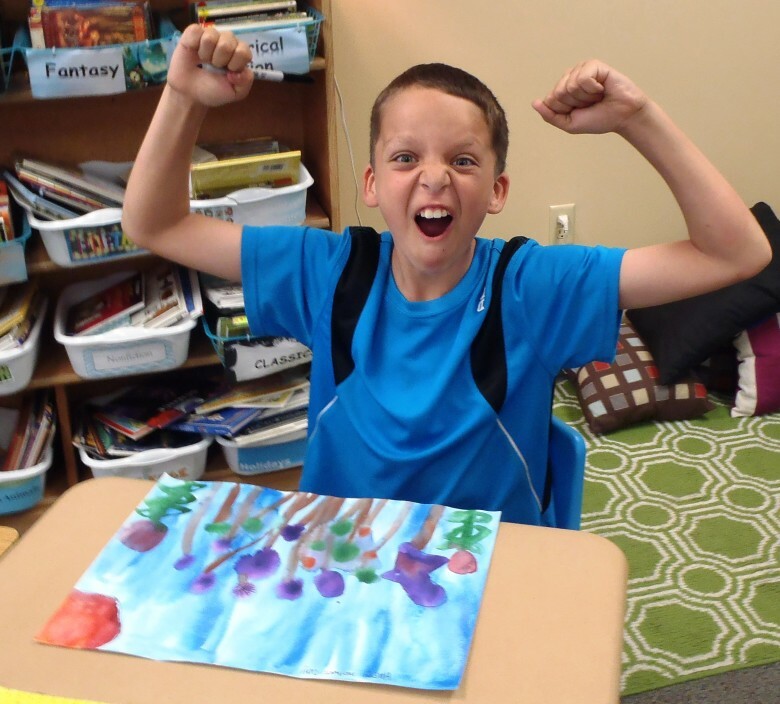 Omak fourth graders have a beautiful solution: custom watercolor paintings. 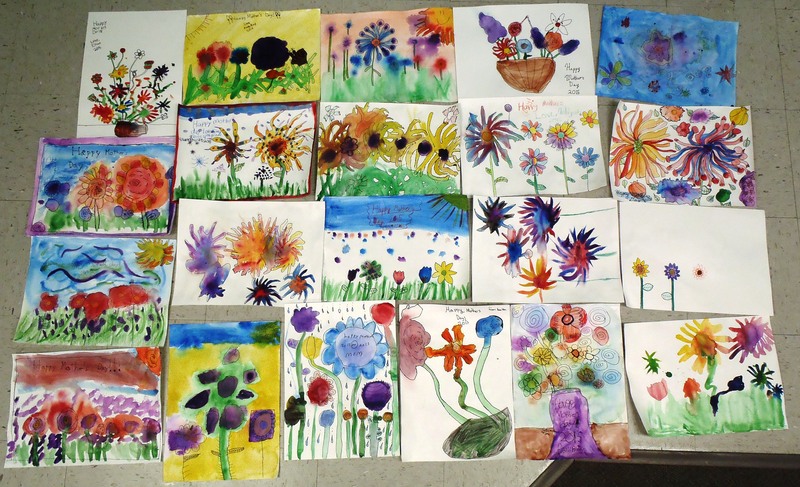 The five fourth-grade classes at East Omak Elementary School worked with teaching artist Margaret Kingston last week to create these vibrant paintings. After a lesson in the principles and elements of art, where students explored the concepts of color, shape, line, texture, and value, the students set to work with their heavy-duty watercolor paper and paint sets. The paintings dried overnight, and then the students enhanced the color and texture of their designs using strategically placed colored pencil shading. 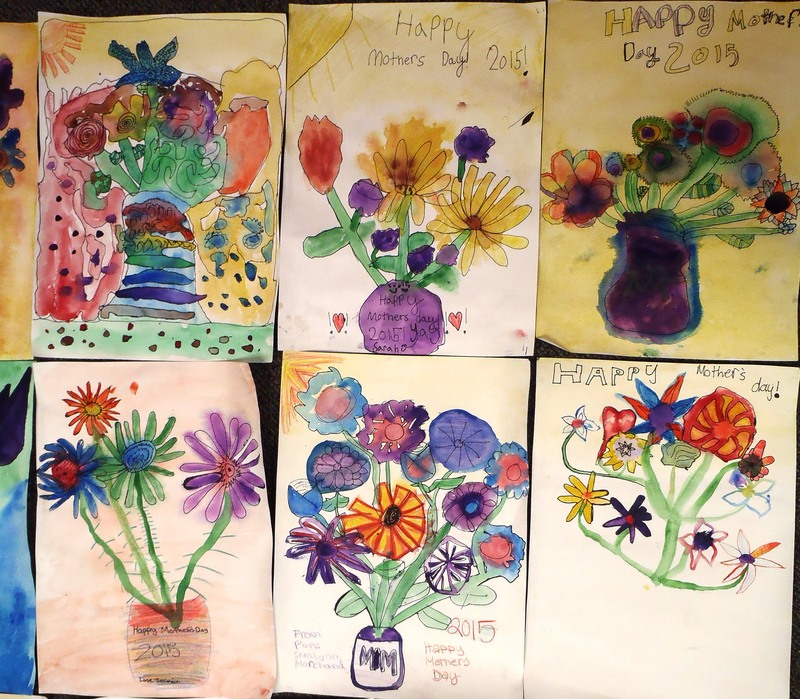 And voilà–Mother’s Day art is ready! 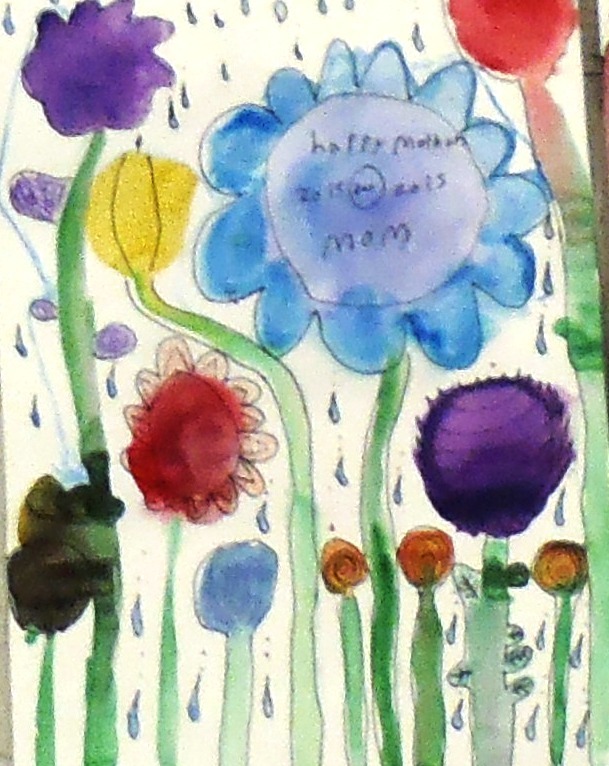 What better way to celebrate the wonder of spring and the wonderfulness of Mom? Methow Arts’ Artist-in-Residence program serves more than 5,200 students and 370 teachers across Okanogan County with arts programs in classrooms in the Omak, Okanogan, Brewster, Bridgeport, Pateros, and Methow School Districts, and in the Paschal Sherman Indian School. Program sponsors in the Omak region include the Omak School District, Omak Kiwanis, Okanogan-Omak Rotary, Confluence Health, and the Community Foundation of North Central Washington. THANK YOU!